The Israeli Defense Ministry has announced that it expects to have sold some $8 billion worth of arms by the end of 2010. This will make it the world’s 4th largest arms exporter after the U.S., Russia and France. Kuwait’s outgoing Iranian Ambassador has accused some local journalists of being paid by ‘the Zionist State’ to attack Iran and defend Israel. He is referring, I assume, to the recent stories in the Kuwaiti Press of the discovery of Iranian Revolutionary Guard spies embedded in Kuwait. This type of fear – that of Iranian sponsored or inspired 5th columnists in Gulf societies – is, I believe, the key fear of most Gulfies, more so than a ‘conventional’ Iranian military threat. Those engaging in pro-Israeli diatribes need to stop portraying the flotilla as a haven for terrorists. This sounds weak, utterly desperate and does not at all ring true. In the above video from the Israeli Foreign Ministry they show the “armaments” of those on the flotilla: sling shots, a thin looking stick and a metal pipe. By highlighting this pathetic array of “weapons” the Israelis are woefully harming their own cause as they look absurdly brutish killing however many of them because they were having marbles flicked at them. Clearly, someone attacking you with a pipe could be dangerous but are those on the flotilla sailing in International Waters not allowed to protect themselves? And, again, how were these vaunted soldiers so woefully unprepared? This is yet another spectacular debacle for the IDF. There is just no other way to put it. Horrific over-kill pinning Israel ever more into a corner. Israel cannot so continuously and so gratuitously flout International Law yet expect it to be upheld by others. My overriding feelings on this topic as a whole is an utter lack of comprehension as to how a people who have suffered so much, certainly not just in the last 60 years, can inflict such suffering on others. Iran’s military has announced that they have produced unmanned aeriel vehicles (UAVs) that can both gather intelligence and strike hostile targets. Whilst they will be no where near as advanced as the US’ predator and reaper drones used in Iraq, Afghanistan and Pakistan, they will nevertheless cause some consternation. UPI reports that the US Secretary of Defence Robert Gates voiced concerns that Iran’s new drones could “create difficulty” for the US in Iraq and Afghanistan. 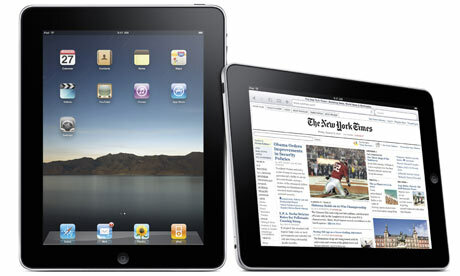 He even put forward the much-loved US hypothetical of such technologies falling into the hands of terrorists. It seems more likely that whilst these drones will certainly have some tactical use for Iran’s military, given that the Israelis recently officially announced that they had produced a drone that could reach Iran, they simply had no choice but maintain parity with their chosen enemy of recent times. As a brief aside it is interesting to note that Iran’s desperation for spare parts for their air force during the 1980s and their Iraq war, led them to deal intimately with the Israelis. Back then both Israel and Iran were united despite their ideological differences by an all-consuming fear of Iraq. Whatever Khomeini’s rhetoric towards Tel Aviv, his trading of oil for spare parts is a perfect example of realpolitik. 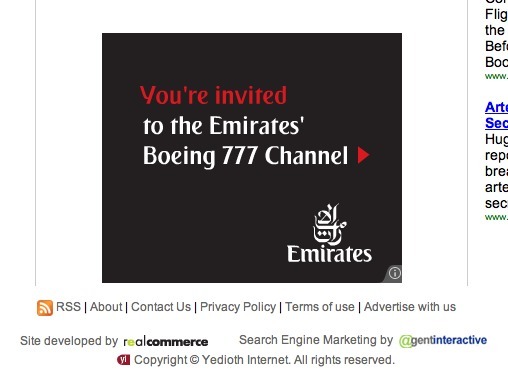 This advert has been captured from the Ynet website owned by Yediot Aharonot, an Israeli newspaper. Interesting timing given Israel and Dubai’s recent history and Dubai police’s token new measures to keep out those with dual Israeli citizenship. 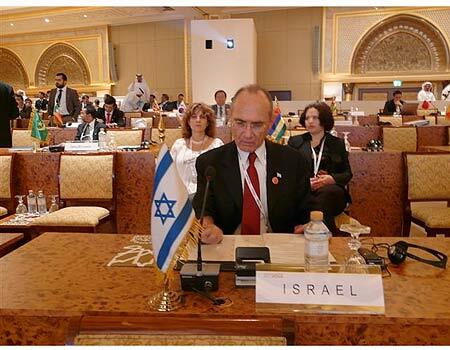 Israeli infrastructure Uzi Landau is pictured at the International Renewable Energy Agency (IRENA) in Abu Dhabi. Special arrangements had to be made to facilitate the Israeli Minister’s visit to the Emirates who have no formal relations with Israel. Previously, the UAE had denied entry to Israeli tennis player Shahar Peer for an international tournament hosted in Dubai for which they were fined $300,000.